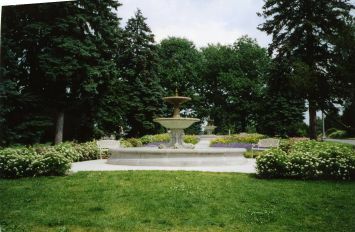 On this site was the beginning of a formal garden which became known for some time as the Janzen Horticultural Gardens with two fountains donated by the Janzen family in memory of Henry L. Janzen and his wife, Elizabeth. 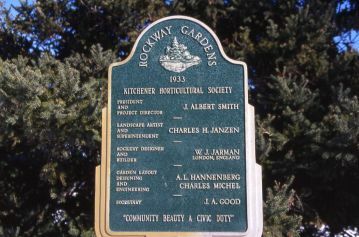 Henry Janzen was mayor of Berlin in 1890 and a founder of the Berlin (Kitchener) Horticultural Society in 1911. 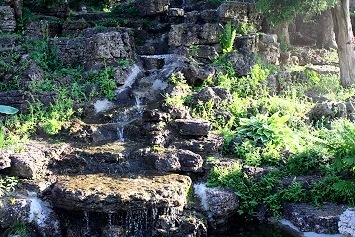 In 1933, the Society contracted W. J. Jarman, a Fellow of the Royal Horticultural Society of Great Britain and a notable English landscape architect, to design and direct the construction of the Rockery. 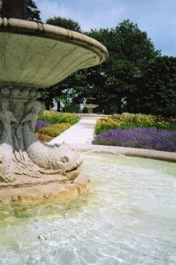 Stone from the Rockton-Sheffield area was used in the construction of the rock garden. Plant materials including trees, shrubbery and evergreens were obtained locally. 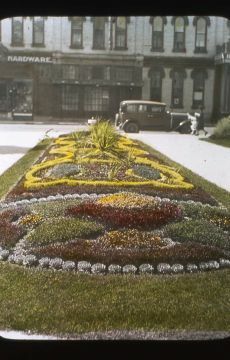 For the construction of the Rockery, local workers were plentiful due to the high rate of unemployment during the Great Depression. 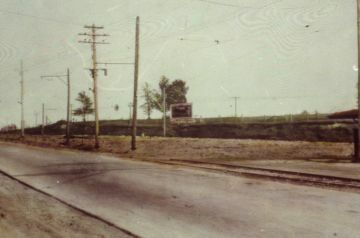 Many homeowners worked on the project several hours a week to offset property taxes, and in this way, were spared losing their homes. 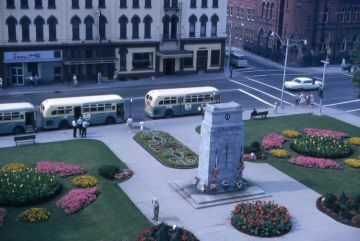 From the early 1930's and into the 1960's the Kitchener Horticultural Society, with the support of local citizens, service groups, and the Public Utilities, was involved in the beautification of public buildings such as schools, the post office, the P.U.C. terminal, and the Waterloo County Courthouse, creating seasonal colour along King Street, and illuminating Kitchener City Hall.